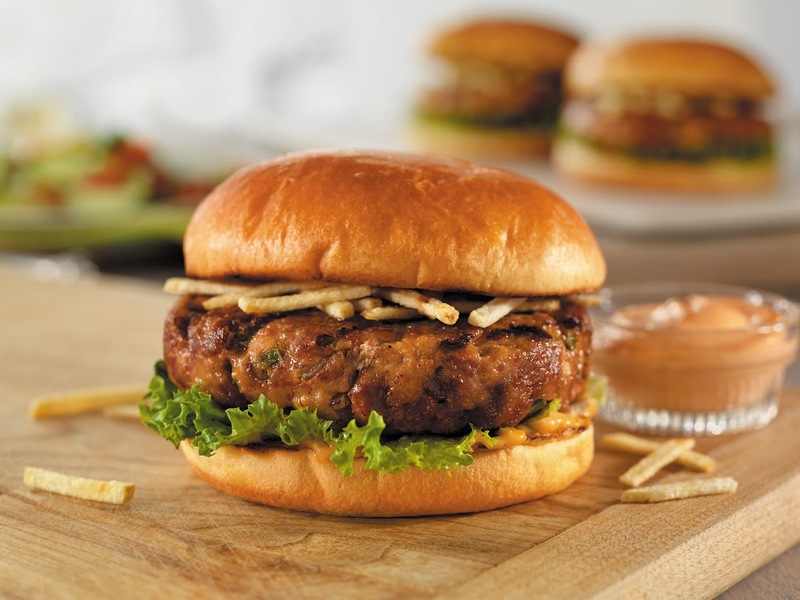 With so many grill-worthy summer days around the corner, the National Pork Board (NPB) is encouraging Hispanics as part of its new campaign ¡Prende el Sabor! 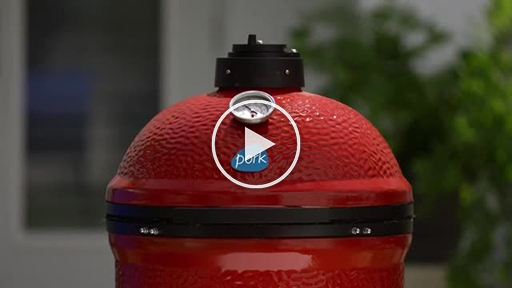 to turn up the flavor on the grill this summer via a series of video vignettes, which will highlight why pork is the undisputed star at every barbecue in America. 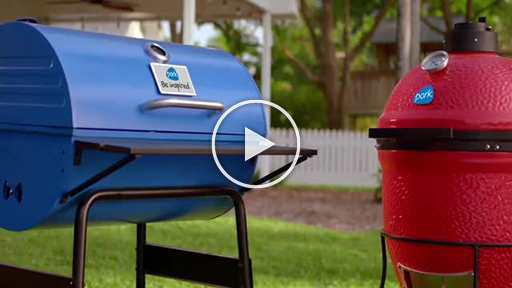 The video series, featuring a fun and spirited grill named “Gloria” the neighbor grill, (@PrendeElSabor) will appear on (@PorkTeInspira) social media channels and website throughout the summer grilling season. Voiced by renowned Mexican actress, comedian and singer Angelica Vale, “Gloria” is the next-door neighbor and pork expert who’s always in charge and takes every opportunity to show off her grilling and unmatched hostess skills. 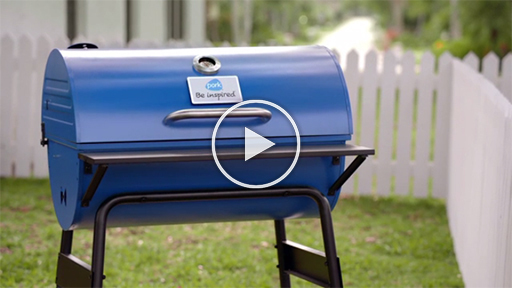 Throughout the summer, “Gloria” will introduce her neighbor, appropriately named “The Grill,” voiced by actor and comedian David Koechner (@GrillForIt), who will also be traveling this summer from coast to coast encouraging people to give their grills a thrill with pork. 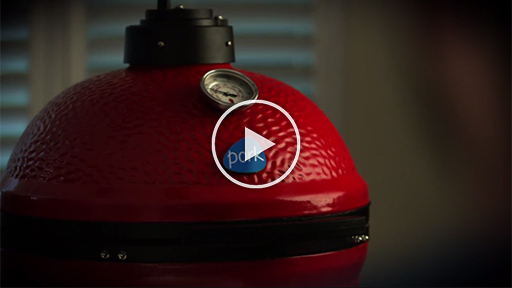 NPB is also partnering with five digital influencers in key Latino markets such as Los Angeles, Houston, Miami, New York and Orlando and will share their take on the perfect barbecue starring tender, juicy and flavorful pork. Consumers are encouraged to visit a new and interactive page – PrendeElSabor.com – designed to provide grilling enthusiasts with a three-step party-planning experience, featuring music playlists and even themed BBQ evites that are easy to share on social media. “Gloria” turns up the flavor on the grill with delicious and easy-to-cook pork recipes that are fun to cook and taste amazing. 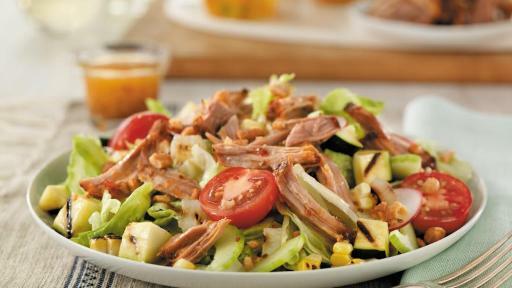 Get inspired at PorkTeInspira/recetas. 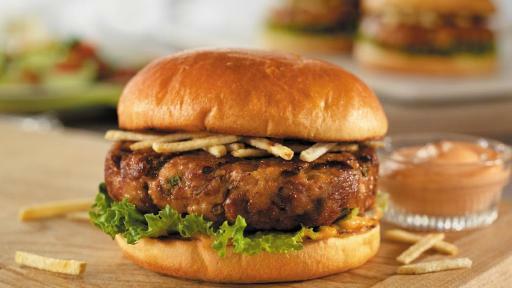 Cuban-Style Pork Burgers – A departure from the typical burger, this version includes ground pork and chorizo, creamy Thousand Island dressing and shoestring potatoes. Your grill (and your taste buds) will thank you. 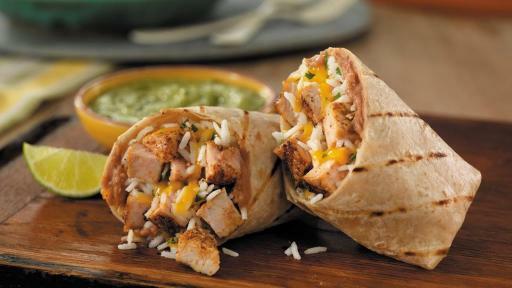 Grilled Pork Burritos with Salsa Verde – These burritos have bold, smoky flavor in every bite. 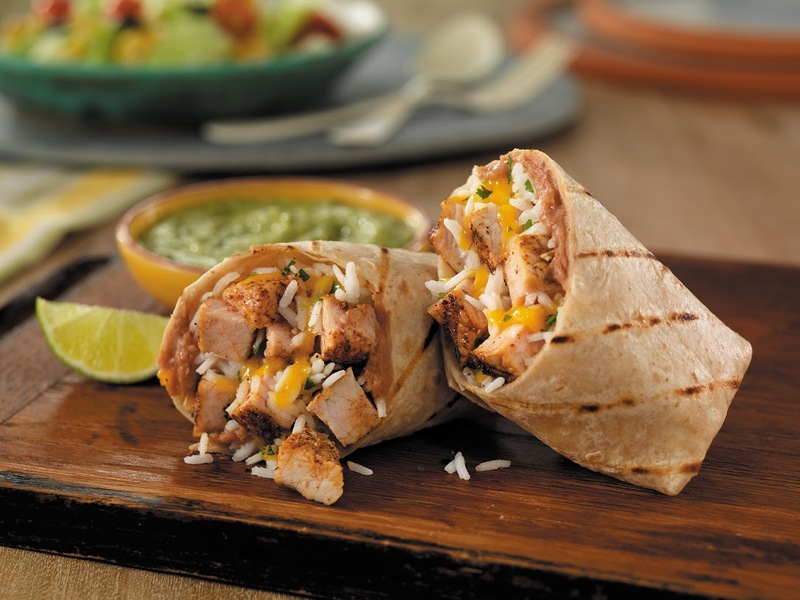 Boneless New York pork chops are grilled to perfection, then cut into bite-sized pieces and wrapped up in a lightly toasted tortilla along with refried beans, rice, cheese, cilantro and homemade salsa. 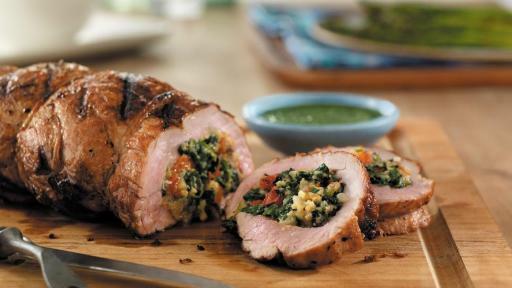 Stuffed Pork Tenderloin with Chimichurri – Introduce your grill to this crowd-pleasing Argentine recipe for a backyard gathering that’s sure to impress. 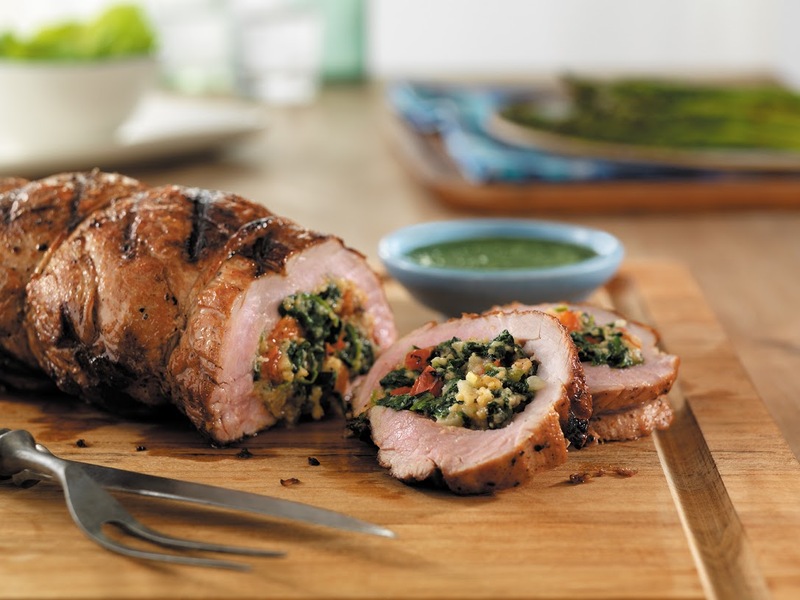 Pork tenderloin is stuffed with sautéed garlic, spinach, bell peppers, cheese and breadcrumbs, grilled and then served with a hot and tangy chimichurri sauce. 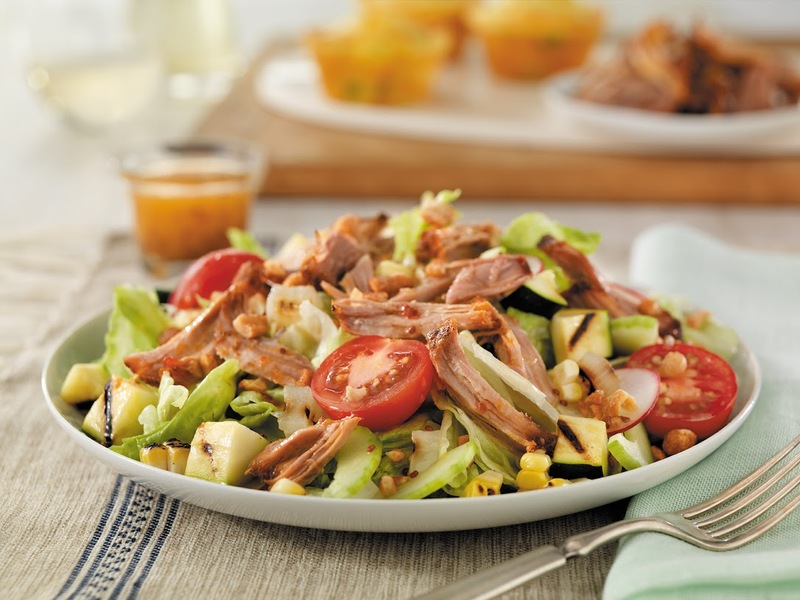 Pulled Pork Salad with Grilled Vegetables – A lighter recipe filled with classic grilling season flavors, this salad features grilled pork shoulder and vegetables, crushed honey-roasted peanuts and DIY honey mustard dressing. For tips, videos and more recipes, plus a chance to plan a memorable grilling adventure or everyday meal, visit PorkTeInspira.com. To join the conversation, like our Facebook page at Facebook.com/PorkTeInspira, and follow us on Twitter, Instagram and Pinterest @PorkTeInspira using the hashtag #PrendeElSabor. Chat with “Gloria” (@PrendeElSabor) social channels as she shares with followers her burning passion for hosting and grilling with pork. For video recipes, visit our website or YouTube channel.